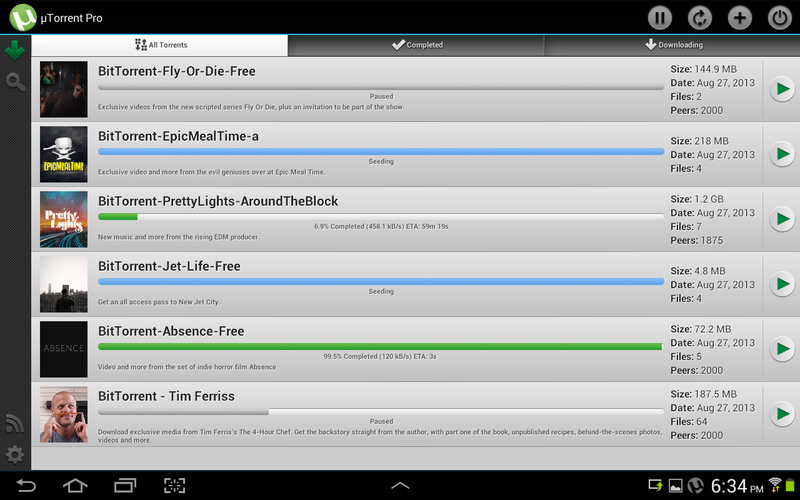 The µTorrent client on Android has hundreds of millions of downloads, but that's not surprising. People love downloading Linux ISOs, right? Starting today, there's a beta program for the µTorrent app, and it'll let you stream your "Linux ISOs" immediately instead of downloading them. 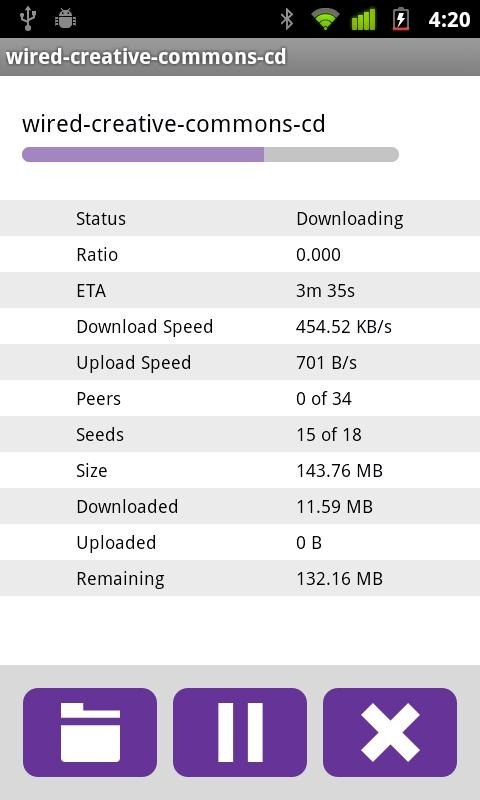 Those torrents aren't going to download themselves. 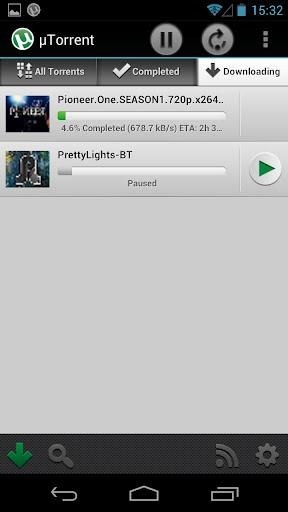 You're going to want yourself a solid bittorrent client, and since you're running Android, you're in luck. 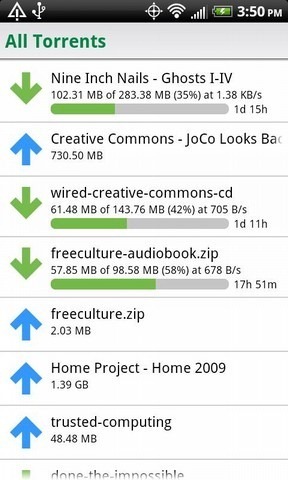 The BitTorrent app underwent a big 2.0 redesign just last month, and now µTorrent is starting to do the same. It's a much needed change too. Just take a look. The description says that the Pro version of µTorrent is ad-free. I don't doubt that, but I also don't see any advertising in the free beta app. The µTorrent Beta seems to be an updated version of BitTorrent Beta, the official BitTorrent company's app. 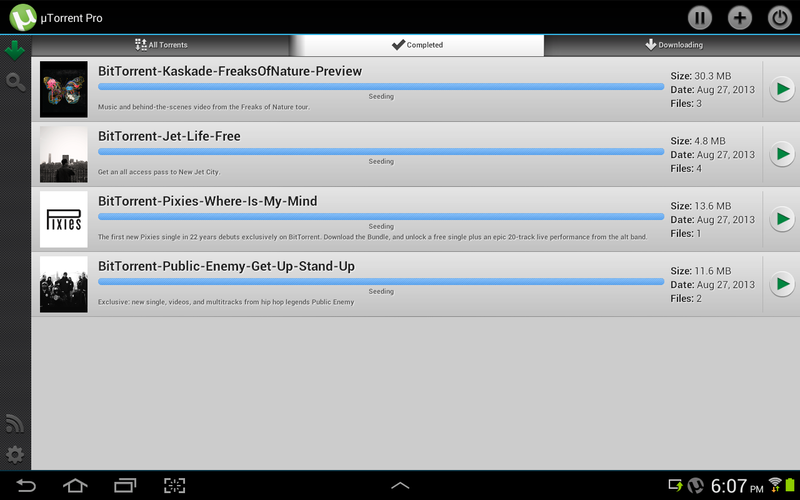 Both apps (along with the remote managers for their desktop programs) are available on Google Play now. 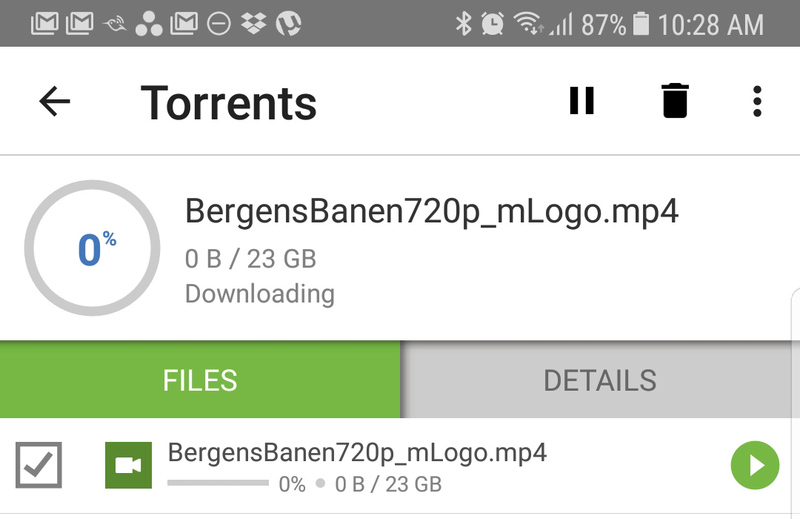 BitTorrent users now have another useful tool at their disposal with the introduction of an official BitTorrent remote client to the Android Market. 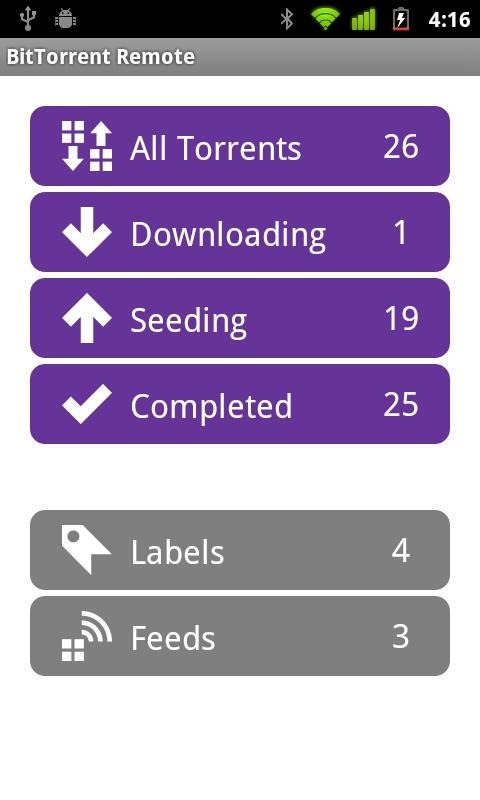 BitTorrent Inc. (which also owns uTorrent), recently released BitTorrent Remote, an app that allows users to monitor, manage, and control torrent downloads on the go from their mobile devices. 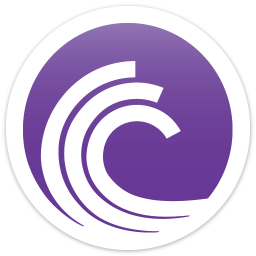 Besides enabling control over torrent downloads, BitTorrent Remote also allows users to get a detailed readout of information related to each download, including speed, file size, seeds, and ETA. The client also allows the user to begin downloads by simply downloading them on a mobile browser, or clicking torrent links within webpages. uTorrent, one of the most popular BitTorrent clients in existence, has released a new alpha build that brings an awesome new functionality. 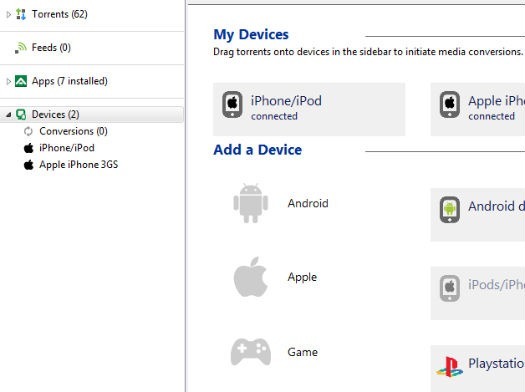 Users can now drag and drop downloaded content to various devices (including Android phones and tablets) directly from the uTorrent interface. 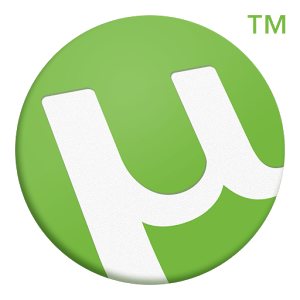 uTorrent also plans to add video and audio file conversion support in a later, paid version of their software, uTorrent Plus. These features are not new, however. Vuze, a competing BitTorrent client, added device integration and file conversion long ago and has seen great success. It would appear that the development team at uTorrent is looking to follow that successful model, while still gaining revenue from it.